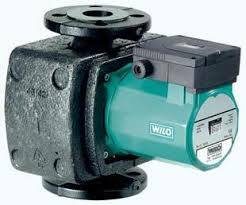 These pumps are mainly used to transport heat transfer fluids for heating or sanitary purposes. The sealing principle is a canned motor (motor embedded in the pumped medium). They are equipped with electronics that adapt the pump speed to the hydraulic characteristics of the installation.